Today, Monday, June 4, a team will be in St. Philip fogging Nursery #1, Nursery #2, Four Roads, Mangrove, Mangrove Terrace, Carnation Close and environs. The exercise continues in Christ Church on Tuesday, June 5, in Maxwell Main Road, Dover Road, Headley Road, Dover Terrace, Dover with Avenues, Bath Village, St. Lawrence Gap, Paradise Village and surrounding areas. 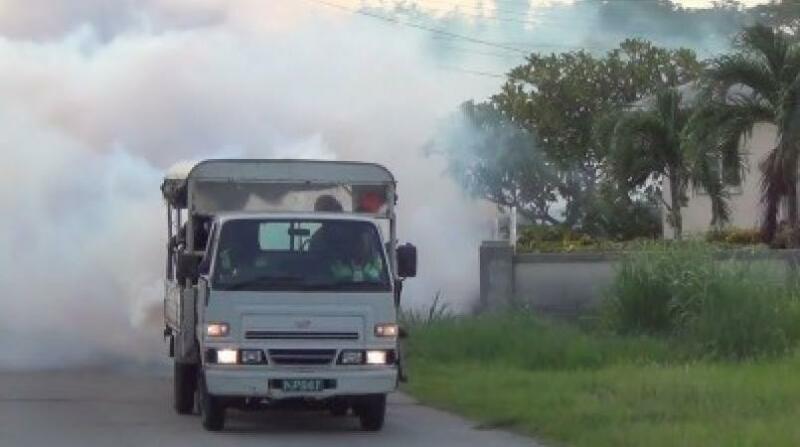 St. George will be targeted on Friday, June 8, specifically Sweet Vale, Brathwaite Road, Butcher Road, Redland Tenantry, Bailey Alley and neighbouring districts.